According to IDC, ‘the Internet of Things (IoT) opportunity’ for service providers focuses on assembling blended solutions comprising connectivity services, infrastructure, purpose built IoT platforms, app security, analytics and professional services. To succeed communication service providers (CSPs) must focus on Business Continuity and Quality of Service (QoS), explains Pravin Mirchandani, CMO, OneAccess. By 2020, there will be 26 billion devices connected on the IoT across a wide range of vertical sectors. Over the next five to 10 years, almost everything that can be connected will be connected, resulting in staggering year-on-year hikes in IP network traffic. Manufacturing plants, transport and infrastructure providers, energy providers and hospitals together with a host of other enterprises reliant on real-time data streams from multiple, distributed sources have the most to gain, but also the most to lose. By monitoring the real time status of critical devices – on connected buses, trains, planes and ships, for example, or in automated machinery on a manufacturing production line – critical event response times and all their associated costs can be cut dramatically. But if the performance of the IoT network is degraded by data overload then all such benefits will be reversed, resulting in consequences ranging from the inconvenient to the catastrophic. 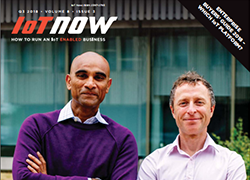 Telecom and CSP networks, which will carry the lion’s share of IoT data, are already under strain as operators grapple with infrastructure obsolescence and continuing hikes in traffic. Currently, most IoT projects remain either at the proof of concept or pilot stages, but this won’t last. The first generation of commercial deployments are now right around the corner. 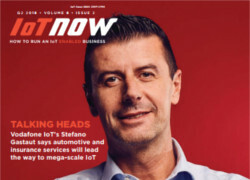 For service providers, according to IDC, ‘the IoT opportunity’ focuses on assembling blended solutions comprising connectivity services, infrastructure, purpose-built IoT platforms, app security, analytics and professional services. In this effort, both business continuity and QoS must be treated as absolutely fundamental. Establishing always-on connectivity is the first critical step. The further challenge is the requirement for an IoT application infrastructure to run quickly and consistently, especially where real-time delivery is required for determining availability and status. Some deployments will be localised to specific smart objects or smart buildings. Others however, will span smart cities, countries and continents and require the automated and real-time analysis of data from thousands or, potentially, hundreds of thousands of devices simultaneously. In many cases, the CPE access gateways chosen by the service provider will play a crucial role in providing business continuity and determining QoS. These gateways, usually in the form of access routers, will dictate how many different access links are available for machine-to-machine (M2M) devices to utilise for network dependent functions like data backhaul. They will also be responsible for ensuring the IoT or M2M data receives the appropriate QoS. This first wave of deployments is likely to bring with it a range of connectivity demands. Intelligent use of a variety of access links will support the CSPs efforts to maximise traffic throughput using application performance management and WAN optimisation, or at the very least, provide a robust business continuity failover, to LTE for example, should the fixed network go down. Bundles of network management services are already being rolled out via the CPE by operators and CSPs, but their true value will become apparent in the age of IoT, when the number of connected devices skyrockets. Operators that elect to deploy bundles of network management services such as these will be best placed to compete for the big IoT contracts of the future. Only by guaranteeing network and application QoS can IoT and M2M deployments perform to their full potential. And in this first wave particularly, when stakeholders are vying for market leadership, nothing less will suffice.